30% of Newcastle United's football players are left footers and so is Miguel Almiron. 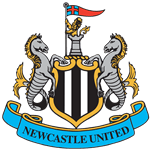 The club of Miguel Almiron, Newcastle United, presently holds 15th position in Premier League (United Kingdom). Standing 1.8 meter high, he is tinier, when looking at the average height in his team. He is two years younger than than his team's average age, as he was born on 10.02.1994. Miguel Almiron had 54 match appearances this season. Besides playing for Newcastle United, Miguel Almiron additionally is a member of Paraguay. His shortest stay in a club was 31 days in MLS All Stars. On the whole, he joined the pitch 19 times and left it 37 times after the start of the match. In the present term, he played less games until end. Apart from Miguel Almiron, Matt Ritchie, Mohamed Diame, Jonjo Shelvey, Robert Kenedy, Sung-Yueng Ki, Sean Longstaff, Isaac Hayden and Christian Atsu are also midfielders of Newcastle United. At 154.32lb, he carries 14lb less than the average Newcastle United player. Already eleven times a card was given to him in his tenure. This season Miguel Almiron scored 13 and assisted eleven goals. On average, he initialized 0.2 and hit the net 0.24 times per match this season which is a worse performance than last year's. Back then 0.28 goals and 0.25 assists per match have been achieved. He reached the 133 appearances milestone as a professionl, the last one being eight days ago. 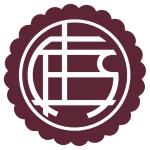 His record stay with a club is Cerro Porteno (Paraguay) with four years and 32 days. Miguel Almiron changed five clubs throughout his career as professional. He impressed in Major League Soccer 2018 (United States of America), playing most matches and both reaching his personal record of assisted and shot goalsreaching his personal record of goalsassistsmatch appearances. He plays with the jersey number 24. As for winning percentages, Miguel Almiron won with Newcastle United 80% of their home matches (50% in total) in Premier League. Newcastle United enjoys a 2-game winning streak during the last 5 games of the current season. 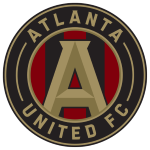 He was contracted to a few clubs during his professional career, one of them being Atlanta United FC, for whom he played before coming to United Kingdom.